BEN-Africa was formed on the equator in the heart of Africa in 1999. 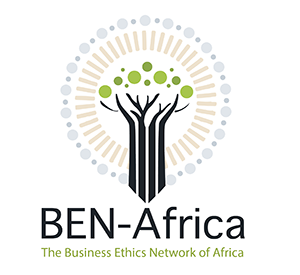 The founding conviction of BEN-Africa is that by bringing together Africans who share an interest in business ethics, business ethics will be expanded on the African continent. We believe that through interaction, both theoretical knowledge and practical skill in managing ethics will be enhanced. The Baobab tree, also known as “The Tree of Life” for its sustenance, was the traditional gathering place where minds met in order to discuss ideas and community matters. Ben-Africa takes the Baobab as its symbol of the responsible and sustainable organisation. The Order of the Baobab is our award for to either individuals or organisations for their extraordinary achievements in advancing organisational ethics on the continent of Africa. We are a non-profit that needs to meet day to day operating expenses such as web-hosting and back office services, as well as the costs of hosting an annual conference. Futhermore our journal, AJOBE (African Journal of Business Ethics), is open-access but nonetheless incurs substantial costs to produce. Finally in order to be a truly Pan-African network we need to pay for travel to meet stakeholders across the continent. Member Newsletter Greetings to our continental network! Here's to another year of strengthening the commitment of Africans to do business with moral integrity.